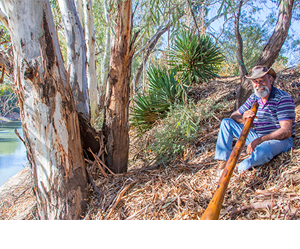 “Tis said the land out West is grand, do not care who says it” Henry Lawson on ‘The Paroo River’ 1893. 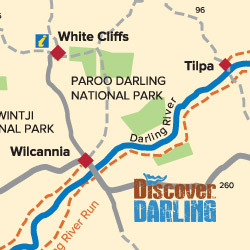 Located on the western banks of the Darling River, the very welcoming town of Tilpa is a must for a stopover, whether you have a few hours or a few days for camping and/or fishing on the Darling River. The old pub is a true classic and has been welcoming travellers and locals for over 100 years. The walls of this timber and corrugated iron pub are covered with traveller’s graffiti which makes for an intriguing read while having a cold beer and a chat to the locals and other fellow travellers. Visitors can add their own literary work or just sign their name for a small donation to the Royal Flying Doctor Service. Originally a busy port servicing the river trade and local agriculture, it was a ‘crossroad’ in the Outback as the bridging of the river here served as a stock crossing and port for the wool clip being transported down to Wentworth and onto either Echuca or Adelaide. The Tilpa Trading Post provides the traveller with many stores and also serves up the most unbelievable hamburgers – many say they are the best in the world! 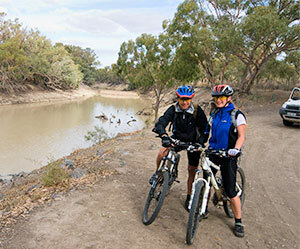 Cross the river to the east and continue south-west on the Bourke – Wilcannia Road for 137km. 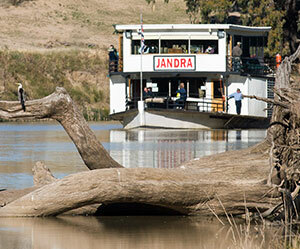 This is some of the most scenic driving along the Darling – not to be missed! 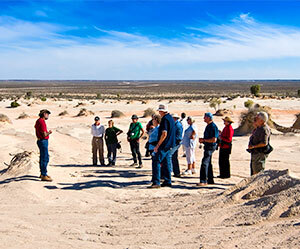 At the Barrier Highway turn right and only 6.5km down the road is the historic town of Wilcannia.